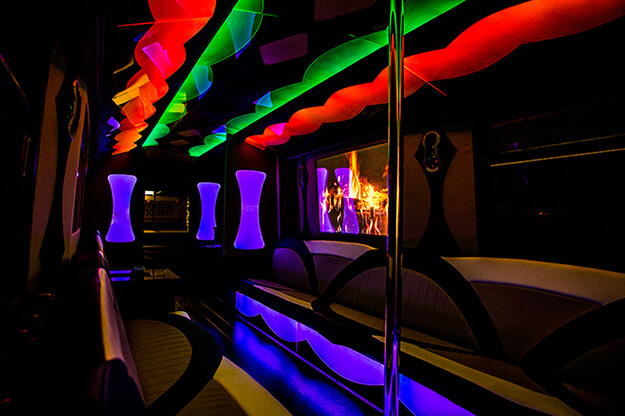 This gorgeous vehicle is our 28-30 passenger party bus. 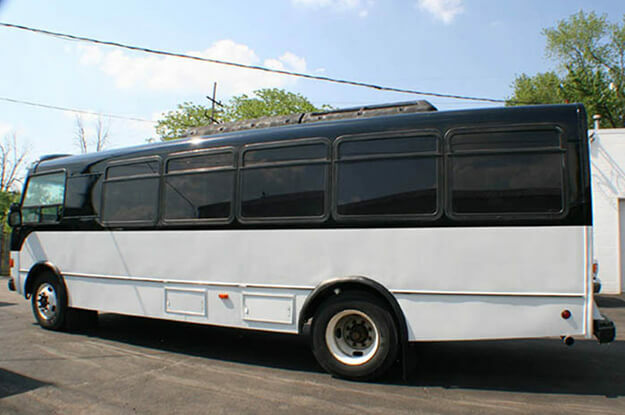 If you're looking for a spacious vehicle to accommodate your guests, this is a fantastic choice! 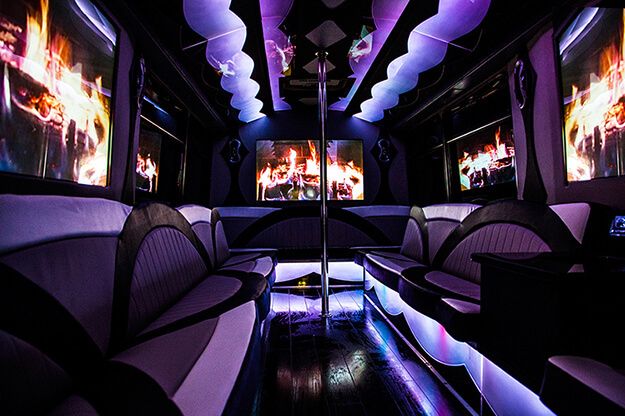 This limo bus has a custom black, gray, and white interior with wrap-around leather seating. 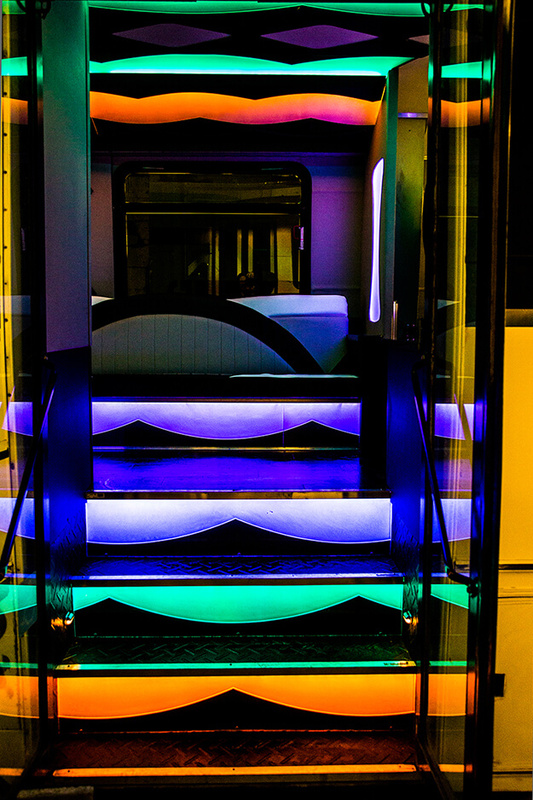 It has a custom designed interior with vibrant lighting on the ceiling, kick panels, steps, coolers, and walls that not only change color but come with a controller that allows you do set different light shows to suite your mood. It has four granite bar tops with built in coolers - we'll supply the ice so you can chill your bottles! This bus also has 4 large flat screen TVs. It has a DVD player and also a CD player with MP3 capabilities. The sound system has 3 sets of 6x9 speakers and 4 12" subwoofers. Finally, it has exotic hardwood flooring and a stripper pole so you can dance the night away!